Young people are the fulcrum on which these societies will progress or devolve. 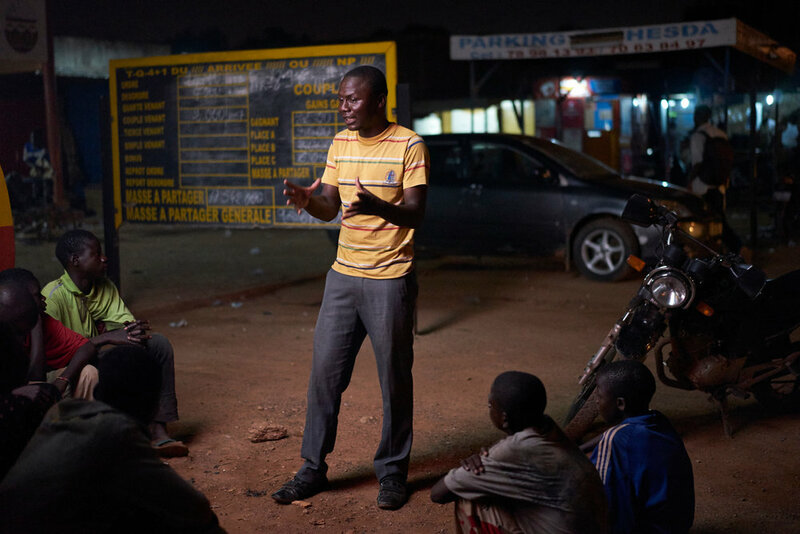 By training youth leaders in areas such as leadership and civic engagement, and in the use of tools such as mobile cinema, participatory theater, social media, and film production, PDev II empowered young men and women to be positive examples in their communities and to inspire their peers. At the same time, supporting sustainable livelihoods and increasing access to education created positive life choices for those most at risk. PDev II-trained youth leaders engaged their peers to elevate the positive role youth can play in communities. 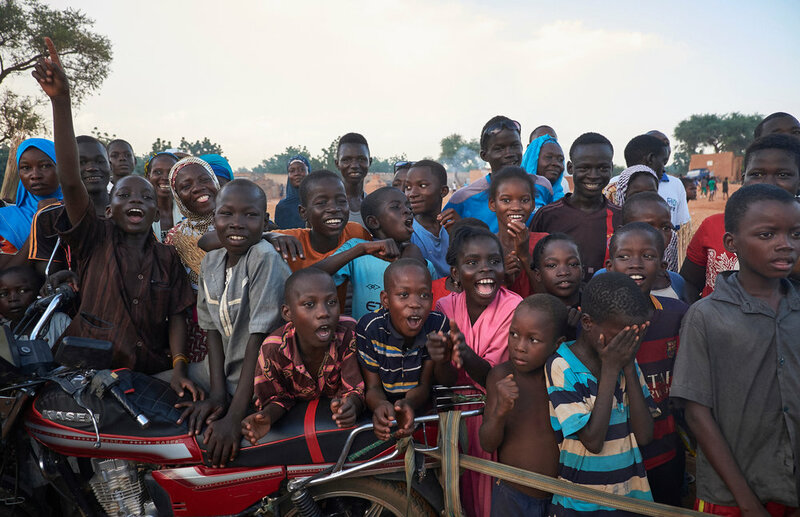 Youth organized activities included mobile cinema showings and participatory theater performances that encouraged interactive and inclusive discussions on top­ics ranging from the importance of focusing in school and work­ing hard, to herder and pastoralist conflicts and how to peacefully mitigate them. Lasting from several weeks to several months, vocational trainings helped at-risk youth build a useful set of skills in fields ranging from tailoring to auto mechanics. In addition, young entrepreneurs were trained to start their own small businesses. Upon completion of the training, youth received a start-up kit to aid them in the pursuit of their craft or business. To build local capacity for further training, PDev II also supported pre-existing vocational training centers. By providing learning materials, textbooks and school furniture, and constructing several classrooms, PDev II increased the capacity of secondary schools to accommodate more youth and made staying in school more attractive for youth that attend. Many schools in the program region, particularly in rural areas, lack furniture and supplies, with multiple students sharing one textbook, and several sharing a desk and bench meant for only one. In addition, literacy training sought to reduce the social and economic exclusion of a select group of at-risk adults. "The theme of the film was for the elections and that you should not be manipulated by the political parties. Before the last elections we projected these films and I think there was a real benefit establishing peaceful elections." 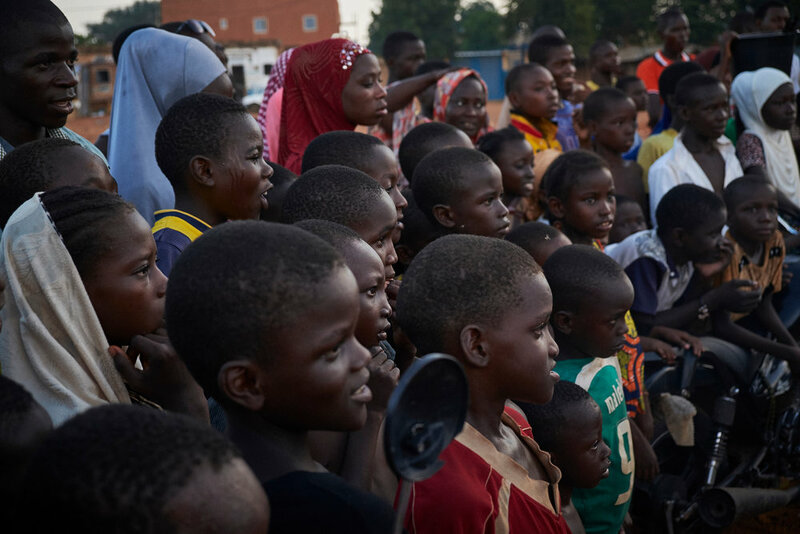 Participatory theater performers interact with the public to show ways that they can adapt, change, or correct a situation, attitude or behavior. This combination of entertainment and education has proven effective in bringing about positive change. Anticipating potential political unrest in the 2016 electoral season, PDev II-trained artists used their musical talents and peacebuilding skills for a song and music video that highlights the importance of peaceful co-existence and Nigerian national unity. "I saw that even if you are from a poor family, you can do well and succeed in life due to effort and determination. They made us understand that our school is not a place for conflict and violence, but a place for education and tolerance." “The initiatives of PDev II raised the social consciousness of each of us to really reflect on how it's possible to change things in our community." Honorine is one of more than 2,000 youth that received vocational training through PDev II. Trainings ranged from tailoring to auto mechanics and food preparation/catering. Aichata received PDev II leadership training in 2013. After being elected Vice Mayor, she is eager to use her role to mobilize other youth towards countering violent extremism in N’Guigmi. "The school was built in 2015, at that time we had 1,469 students. It has grown since then. There are two classrooms built here with the support of PDev II. The students in these classes feel really encouraged in their studies because of the equipment that has been supplied." "I have been working with PDev II since 2012 ... It's our role as youth to create a synergy between the different structures so we can create a dynamic emerging country. I am an actor of change in my country." Before the support of PDev II, our school lacked the most basic equipment. This support allowed me to sit at a desk during my classes, instead of on the floor. However, it was when PDev II announced the student competition that I really became motivated to improve my studies. 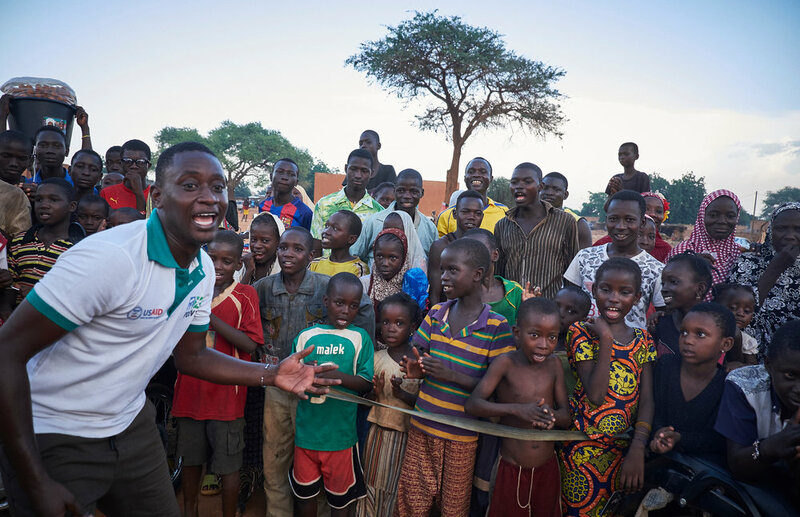 Through participatory theater and PDev II we understood and helped others to understand ... that we can banish violence in all its forms and that to empower youth is to promote a culture of peace. "A year ago, I would never have imagined I would be able to feed myself, much less my family,” one of the bakers said. “This training has even allowed us to dream of buying our own land and expanding our bakery. We finally have hope for our futures." Bocar Douramane is one of 1,139 youth that received vocational training through PDev II. Trainings ranged from tailoring to auto mechanics and food preparation/catering. A happy winner receives award from a community leader. Newly constructed classrooms at the Yadega High School in Ouahigouya, Burkina Faso on October 6, 2016. Opening ceremony at the Yadega High School in Ouahigouya, Burkina Faso on October 6, 2016.